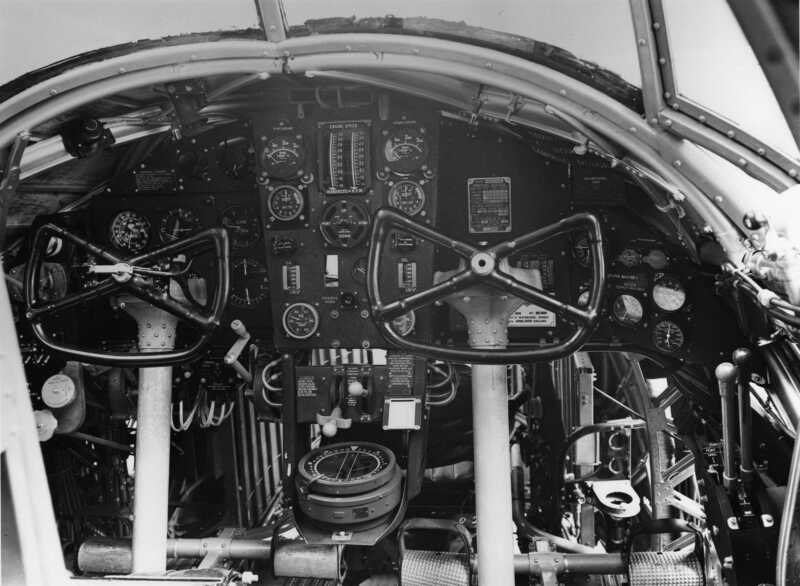 The Wellington Bomber was designed in the mid 1930’s and utilised the “geodetic” construction pioneered by Barnes Wallis. This construction was very strong and able to withstand significant damage but was also time-consuming to construct. 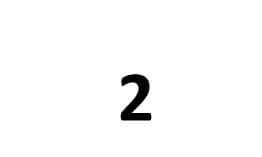 The type was widely used during the first two years of WW2 before being supplanted by larger four-engined aircraft such as the Avro Lancaster. 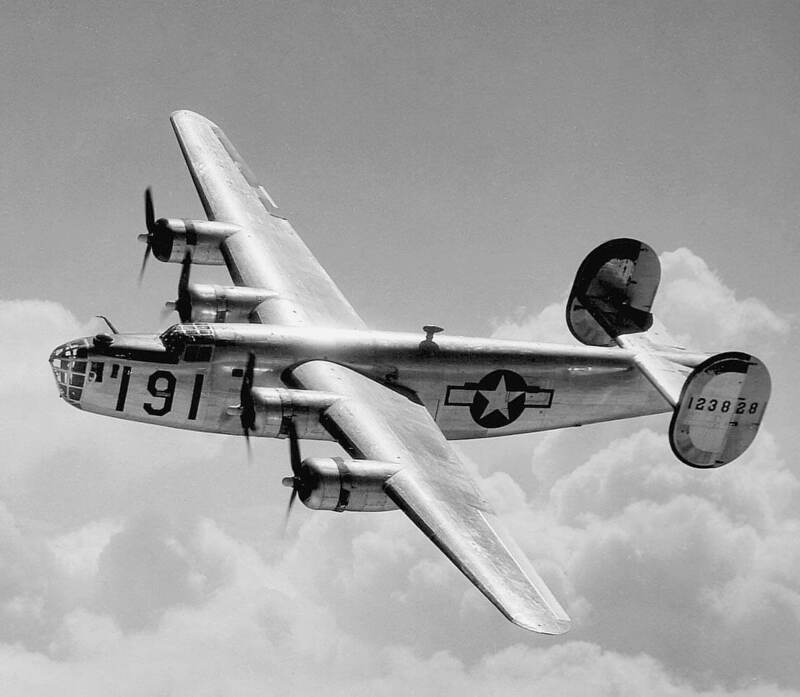 The aircraft continued to serve as a Coastal patrol aircraft and training aircraft, and continued the latter role until 1953. 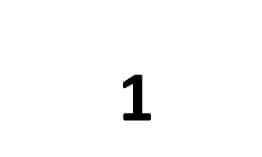 Over 11,400 examples were built in total. 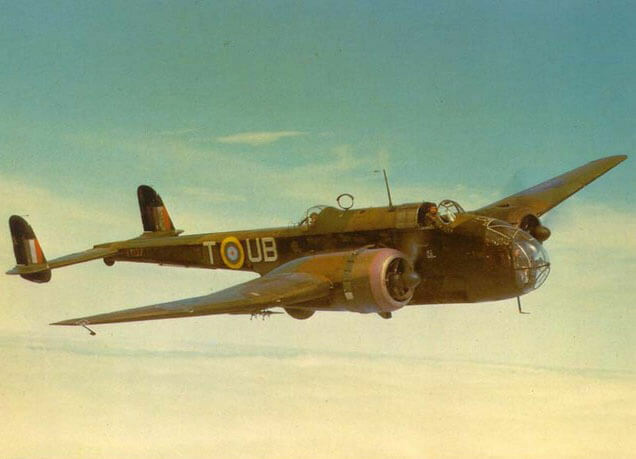 We offer two titles on the Vickers Wellington which contain the flight manuals (called Pilot’s Notes by the RAF) for most models of the Vickers Wellington plus the maintenance manual for the Wellington 1, and an interesting publication on the Hercules engine. 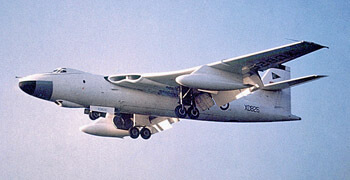 The files have been copied from the original flight manuals and retain any colour pages. Each title is US$9.95. 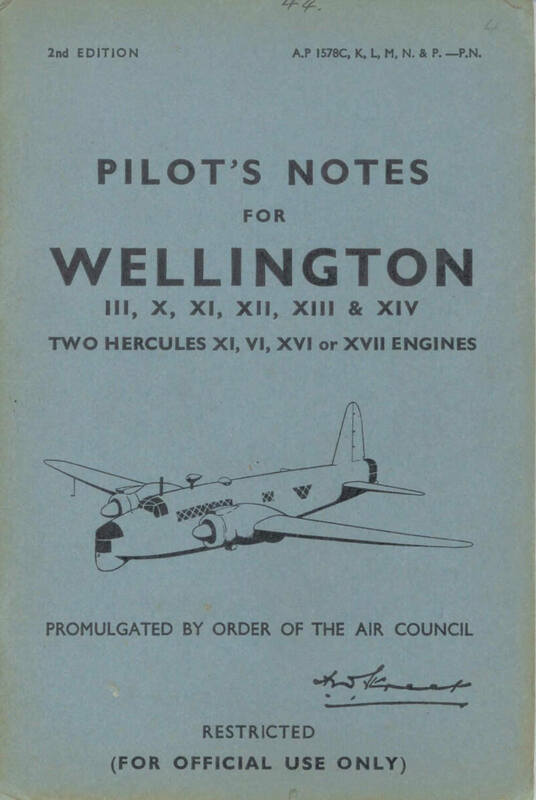 RAF Pilot’s Notes for the Vickers Wellington I, AP 1578A-PN dated June 1940, with approx 30 pages. 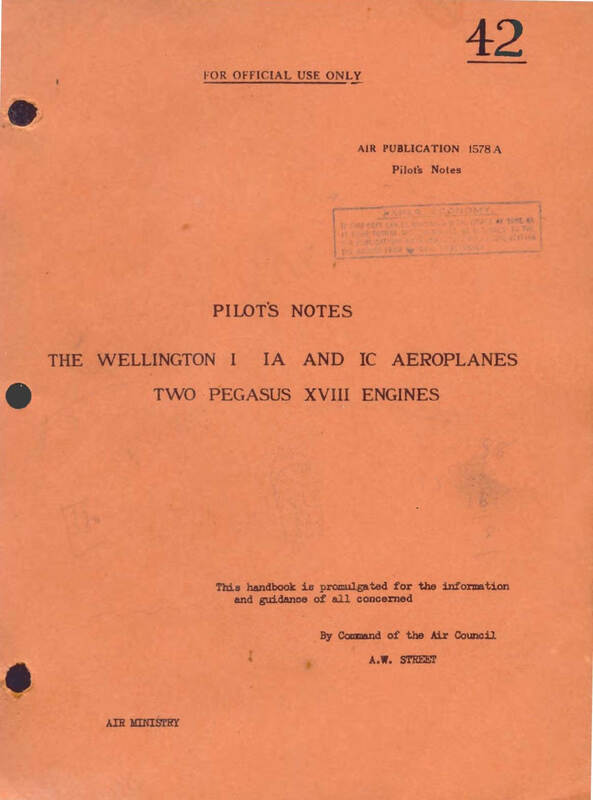 RAF Pilot’s Notes for the Vickers Wellington III, X, XI, XII, XIII, XIV, AP 1578C,K,L,M,N,P-PN 2nd Edition dated January 1944, with approx 48 pages. 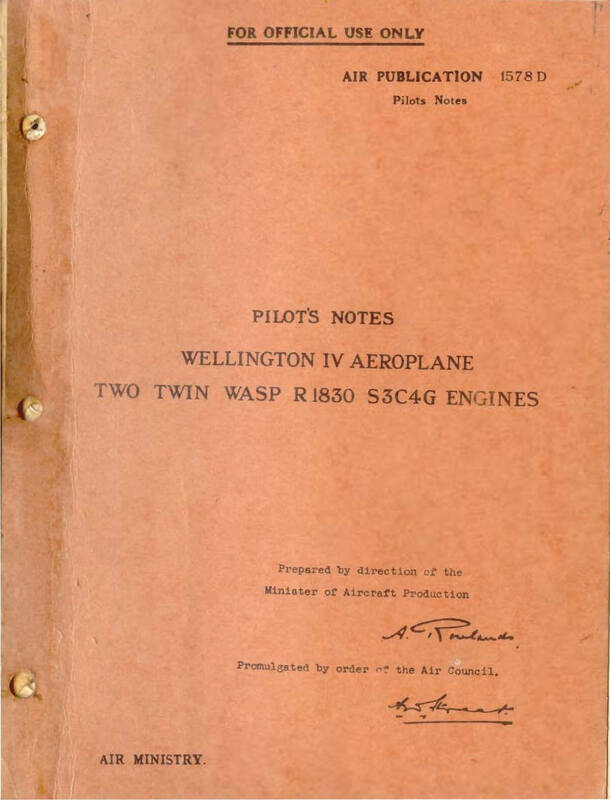 RAF Pilot’s Notes for the Vickers Wellington IV, AP 1578D-PN dated June 1941, with approx 30 pages. 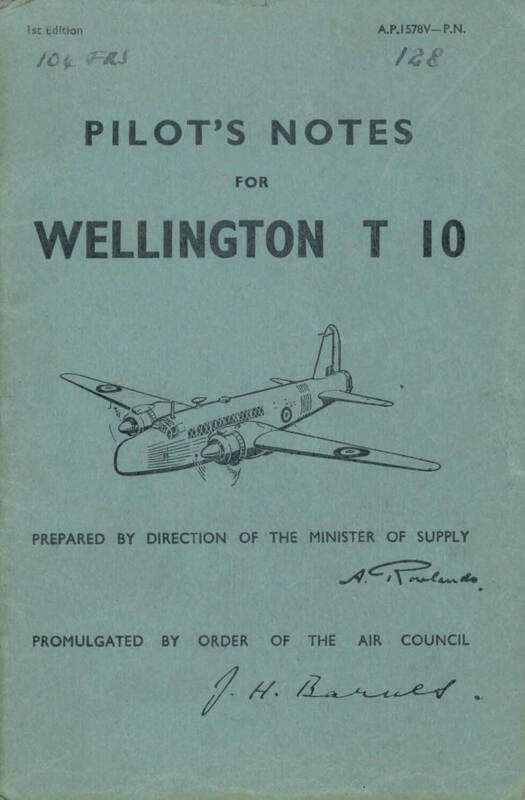 RAF Pilot’s Notes for the Vickers Wellington T10, AP 1578L-PN 1st Edition dated October 1949, with approx 55 pages. 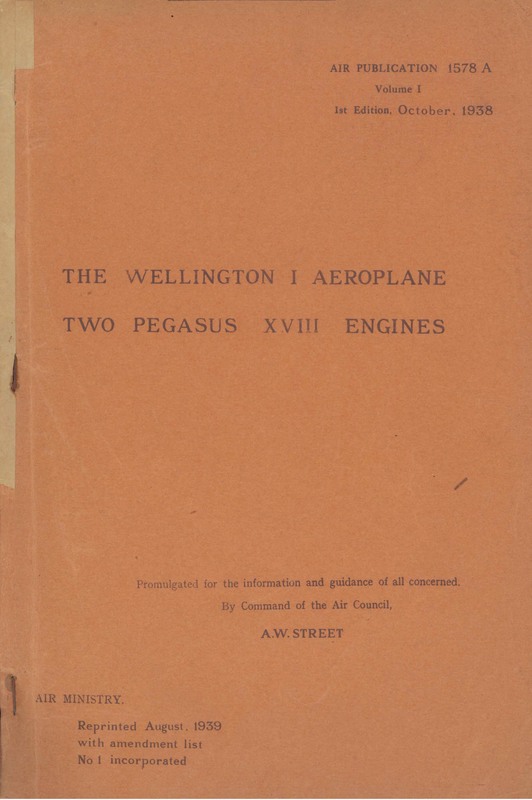 RAF Servicing and Descriptive Handbook for the Wellington I, AP 1578A Volume One, 1st Edition dated October 1938 with approx 142 pages. 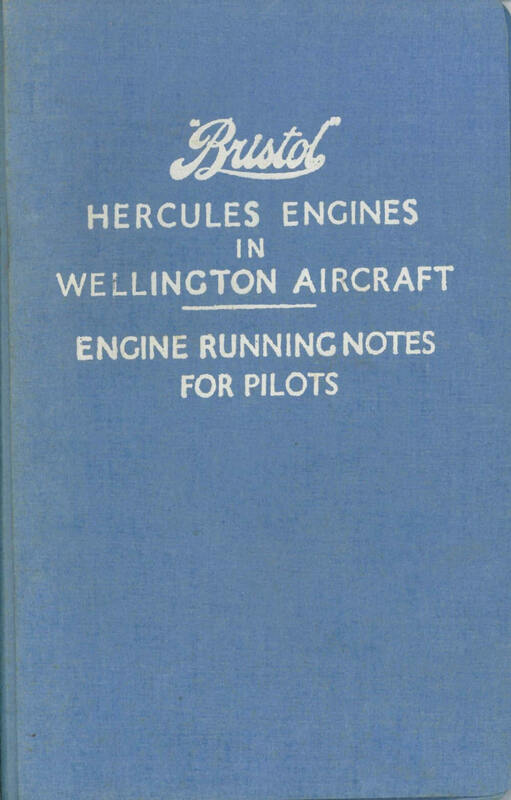 Bristol Engine Running Notes for Pilots – Bristol Hercules in Wellington aircraft, 1st Issue dated 1944 with approx 44 pages.